All of our bathroom basin taps are shown together in this category if you do not wish to buy the whole range. 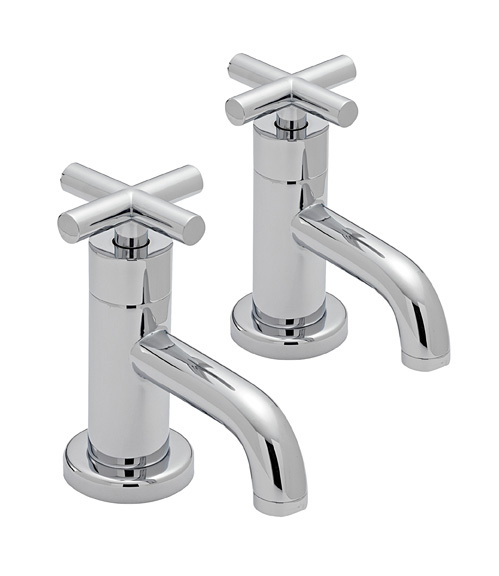 Pairs of basin taps are supplied as two individual taps, this is a smart solution, with the hot tap normally sitting on the left, and the cold on the right. 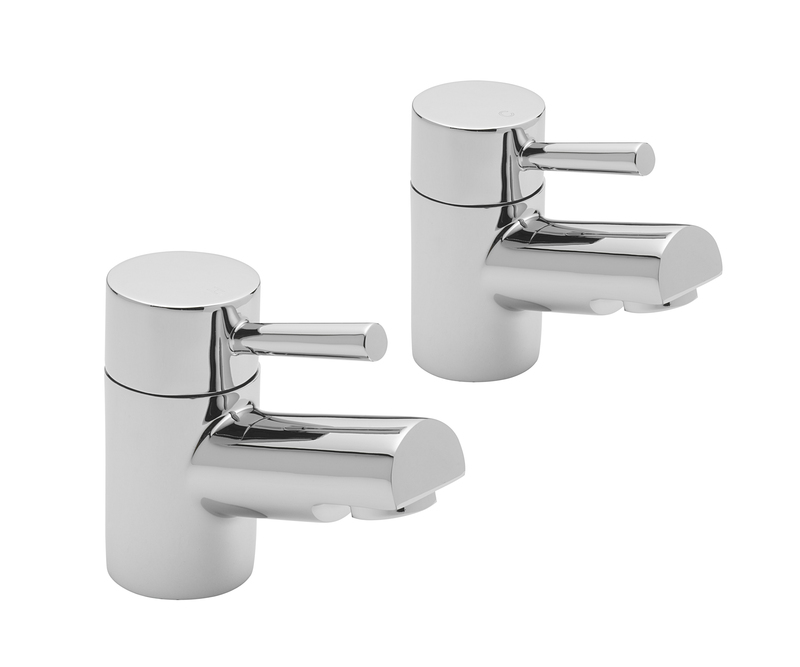 Pronto Basin Taps Chrome Finish Valve type APCPRT1 Dimensions: Height to handle in off position: 90mm Center of base to end of spout: 75mm Please note: ALL of our prices include VAT & UK delivery. If you are not UK based, please select the relevant shipping for your country. Failure to do so will result in your purchase being refunded.